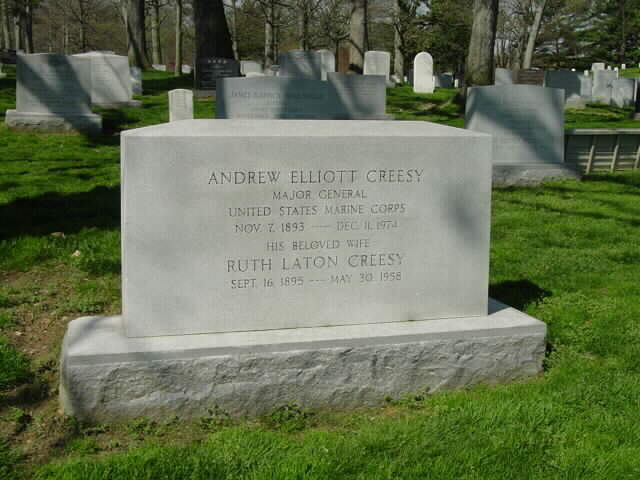 Andrew Elliott Creesy was born on 7 November 1893 and died on 11 December 1974. He is buried in Section 30 of Arlington National Cemetery. 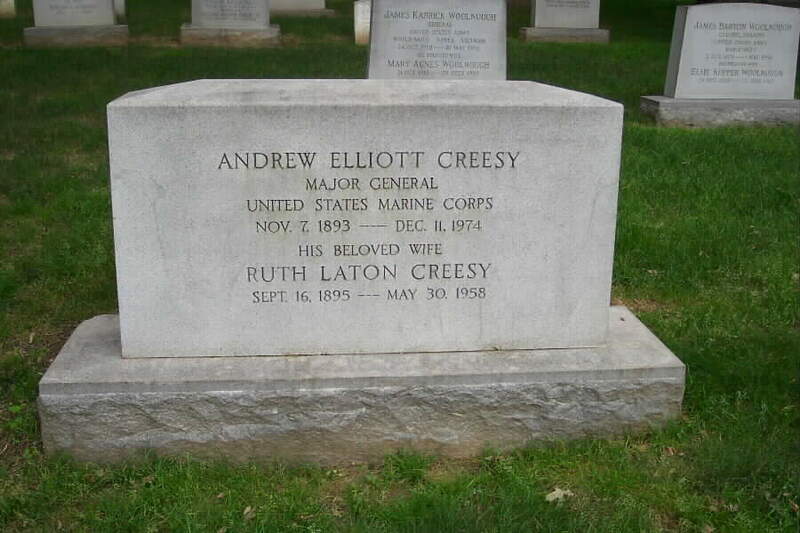 Buried with him is his wife, Ruth Laton Creesy who was born on 16 September 1895 and who died on 30 May 1958. We are seeking information about these individuals. If you should possess such information, kindly contact the Webmaster.